What is it with me and this trip? First it was May Day in Istanbul and now it's Jerusalem Day here, "commemorating the reunification of Jerusalem and the establishment of Israeli control over the Old City in June 1967." I didn't know about Jerusalem Day (bad tourist!) 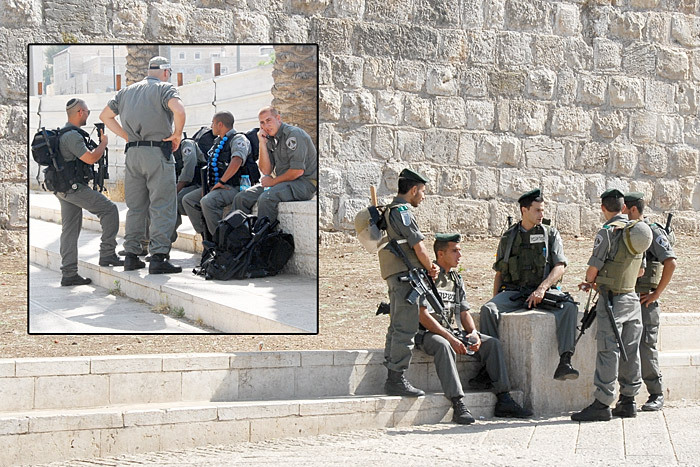 until this afternoon when full-dress army units were forming on every corner and in front of every gate in the Old City, perhaps their own form of an 'extreme abundance of caution'. And old extreme-abundance-of-caution me wandered my way back to my hotel to wait it out. Just so you know, in case there's something on the news, I'm Perfectly Fine. I've got more pictures too, which I'll get to now.